Even though I bought this book last summer, I've only read it this month and since I had already seen the movie, I'll take this opportunity not only to review the novel but also to let you guys know what I thought about the movie as well. 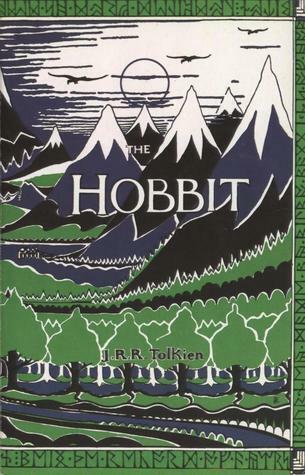 The Hobbit (also known as The Hobbit, or There and Back Again) follows the adventures of Bilbo Baggins, a hobbit who lived a quiet life until a great wizard, Gandalf, comes to his house and asks him to take part on a great journey. He will join a group of dwarves whose greatest desire is to defeat Smaug - a terrible dragon - that has taken over their land and their treasure. Their quest won't be easy and they will face unknown dangers. First of all, let me just say that I was blown away by the fact that J R R Tolkien used to tell this story to his kids before they went sleep! Lucky kids! I have to admit, my expectations were high so I was a bit afraid I would be disappointed by the book, but fortunately that didn't happen. The world created by Tolkien is amazing - it's magical and spellbinding - and the level of detail he putted into it blew my mind. 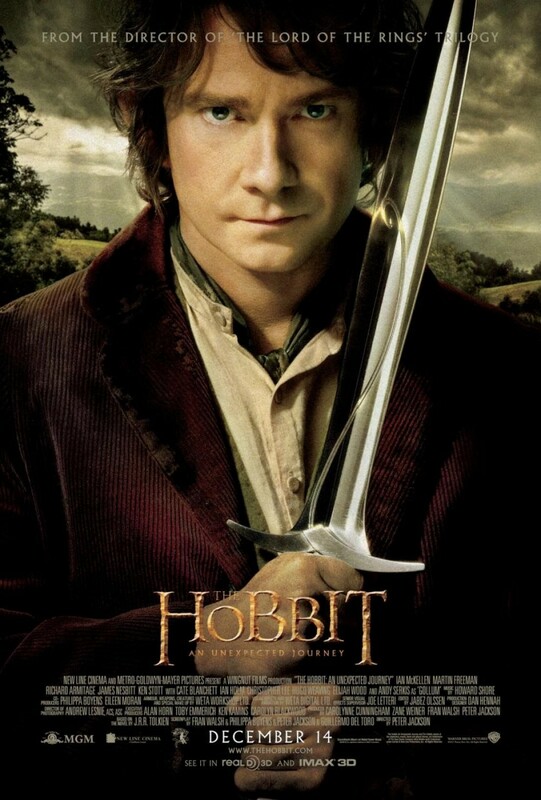 As for the characters I have to say my favorite one was Bilbo Baggins. He grew a lot throughout the story and he really surprised me, because he went from being this scared little hobbit who wasn't really sure he would be up for the job, to someone who was respected by others and who looked to no means to make sure his friends would safely arrive at their destination. What I most admired about him was his honor, his kindness and his sense of justice - they were instrumental during this journey and they earned him the respect from the others. However there were some things that disappointed me a little. I didn't like how some lines of the plot were dealt with by the author; there were parts where I was hoping for something really epic, instead of an expeditious solution, even if it was unexpected. I also think that even though the descriptions weren't long and boring, there were some parts that, for me, dragged for a while; my mind would just go some place else and I wouldn't pay that much attention. Another thing that I have to point out is the lack of information about most of the dwarves that went on this journey with Bilbo - I wanted to know more about them and not just about Thorin. Overall I really enjoyed reading this book. It's a gripping tale that really grabbed my attention and kept me reading in hopes of discovering what would happen next. 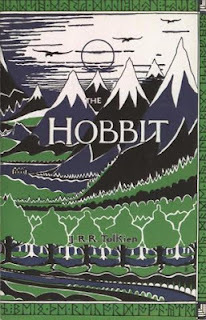 Like I've said before, the world building in this book is amazing and Bilbo Baggins is so endearing that makes us hope that he and his friends arrive safely at their destination. Really enjoyed this book and, hopefully, I'll start reading the Lord of the Rings trilogy this year. Generally I prefer to watch the movies after reading the book, but this time I made an exception. I was really curious about it and I wanted to see how the world created by J R R Tolkien and his characters had been portrayed in Peter Jackson's adaptation of the novel. The whole setting is just breathtaking - I was mesmerized! 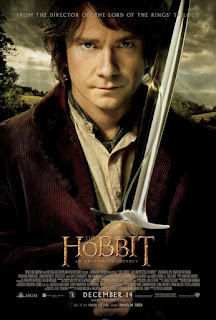 And Martin Freeman, as Bilbo Baggins, is superb; he was the best choice for the part - after watching the movie, I actually think he was the only one who could have pull off this role the way he did. It was good to see him do something different from what he normally does. After reading the book I can say that this a good adaptation and it goes into a lot more detail than I would have expected. I would also give 4 out of 5 stars.